Where the Word and the Spirit Agree! Click on Photos for Links to Speaker’s Web Sites! Please be patient, it may take a moment for the players below to "activate" and connect to the radio feeds. Click Play/Pause as is appropriate. Turn off the main players (above) first. This Pop-Up Player will allow you to listen to the stations as you continue to use your browser, or go to other web sites! NOW PLAYING on The WOFR Main Station! NOW PLAYING on The WOFR Healing Station! NOW PLAYING on the WOFR KJV Station! Word of Faith Worship Center! Click HERE to visit the Concord, NC LCU Campus Site! Follow WOFR on Social Media! Some Great Comments from our WOFR.org Listeners! "This is one of the most powerful, and uplifting Stations I have ever listened to. I love WOFR!" "Best place to get great teaching 24/7... via your PC, your smartphone, or your telephone." "Great radio... Praise the Lord!" "Hi guys, keep up the good work! You should be real proud of what God has done for your station. I'll Keep listening here in Ohio... God Bless..."
"Where else can you hear all the Word of Faith ministers in one place, this station is awesome!!!" "Love listening to Dr. Larry Ollison. Keep up the good work you are doing. I am telling everyone about WOFR. It's the best radio anywhere. You are teaching life to the masses!" Be patient while connections are made. If it does not connect, hang up, and try again. It may take several tries before you connect properly. 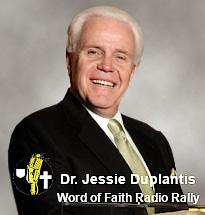 You may click on the "Donate" Button below to contribute to Word of Faith Broadcasting, Inc.! To listen to specific books of the King James Version of the Bible, or to download the complete WOFR.org Audio Version of the KJV Bible, click HERE! Click HERE to order your WOFR.org Coffee Cup! Copyright © 2019 WOFR.org – Word of Faith Radio. All rights reserved.